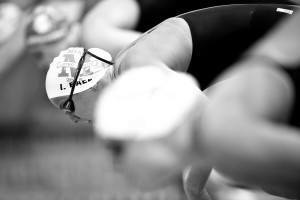 Two former NCAA swimmers, Isabella Arcila and Omar Pinzon, will represent Colombia at the 2018 World Short Course Championships, SwimSwam Espanol’s Adrian Mancebo reports. The meet will be held from December 11th-15th in Hangzhou, China. Arcila, a graduate of SMU, won 4 titles at the 2018 Central American and Caribbean Games in Barranquilla in July. She won the 50 free (25.11), 100 free (55.21), 50 back (28.11), and 100 back (1:01.03), and broke Colombian National Records in the first 3 of those events. She will swim the short course versions of those same 4 races in Hangzhou: the 50 free, 100 free, 50 back, and 100 back. She’s currently the Colombian National Record holder in all 4 races in short course meters. Arcila is currently training in the post-grad group at Indiana. After graduating, she spent time as an assistant coach at her alma mater. She earned 7 All-America honors as an undergrad at SMU, including individually in the 100 free via a 15th place finish at the 2015 NCAA Championships. Joining her in Hangzhou will be the country’s best male sprinter Omar Pinzon, a 29-year old who has participated in the last 4 Olympic Games. He won individual gold in the 100 back at this summer’s Central American and Caribbean Games, breaking the Meet Record (and tying the National Record) in 54.88. He also added a bronze in the 200 back, a silver leading off the men’s 400 medley relay, and a silver leading off the mixed 400 medley relay. Pinzon holds or shares 16 Colombian Records, mostly in backstroke, butterfly, and IM events (though he also took marks in the 800 and 1500 free in short course meters in 2016). The Florida alum is also currently training in the US, with the Trojan Swim Club in southern California. Colombia has never medalled at the Short Course World Championships, though they have had 5 finals swims in history, including most recently a 6th-place finish by Pinzon in 2014. Arcila has competed in the last 2 World Short Course Championships, plus the 2010 edition. 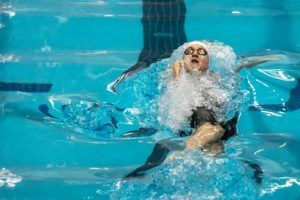 In 2016, she qualified for semi-finals of both the 100 free (16th – 53.98) and 50 back (13th – 26.72).